Each exhibitor company is allowed six(6) badges for those working the booth. You received a CODE in your Exhibit Booth Confirmation email for these badges – call the MPM Office (800) 864-3813 if you need this code. Additional badges are $65 each. You will receive a badge registration confirmation email - hotel link will be in this email. The Minnesota Department of Health and the St. Paul RiverCentre have regulations we must comply with to give out any samples of food or beverage (please note the sampling size requirements that must be met… prior approval is needed for larger size samples). Below is the Food/Beverage Sampling Policy and Form that must be completed and returned to the MPM Office no later than March 8, 2019. Please take the time to review the Food Vendor Guidelines as well. Handwashing stations and other food handling requirements must be met. The Show will be inspected as it has been in the past. Use this form to request MPM member labels or electronic member list to invite the MPM members to the UMCS Show. Click Here to order booth furnishings (table, chair, carpet etc). Remember early bird discount deadline is March 18, 2019. Exhibitors may order exhibitor services online at the RiverCentre's Exhibitor Services website. Please note that services ordered the week of the event are charged at a higher “floor rate” price. Contact RiverCentre Exhibitor Services Team at (651) 265-4875 with questions or concerns. Exhibitor load-in will occur through the main RiverCentre loading dock. The loading dock is located below Kellogg Lobby, and is easily accessible to the exhibit area. Exhibitors may enter the loading dock via the Eagle Street entrance (click for map) and will be given a temporary 20 minute loading pass. 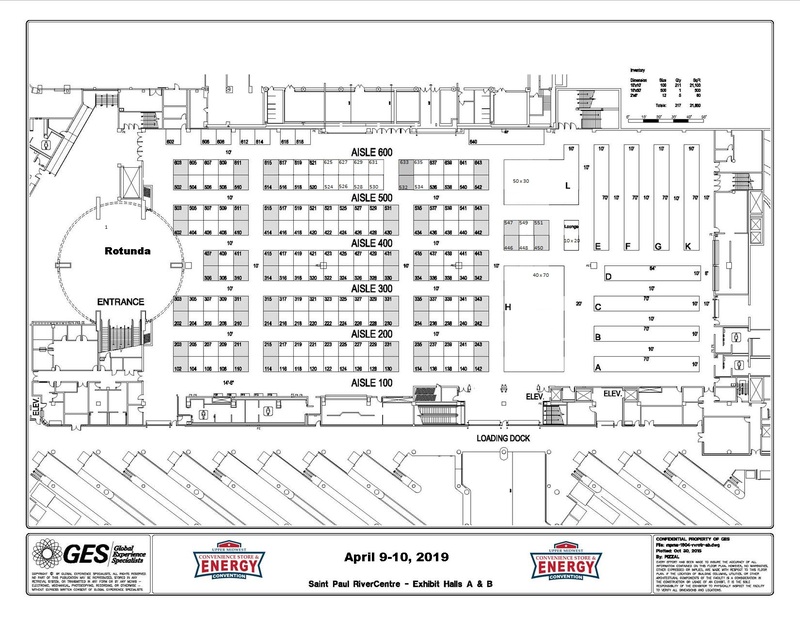 This pass will allow exhibitors enough time to unload, move items to the exhibit area, and then move their vehicle to the adjacent parking ramp. This area is respectively available at load-out also. MPM and the RiverCentre have made available $5 parking vouchers for all three days at the RiverCentre. Print off the voucher and give it to the Cashier at the RiverCentre Parking Ramp and you can park all day for $5. Additional parking information.